Join us for the conversation with Anna-Alix Koffi and curator of the exhibition, 'Five Bhobh: Painting at the End of an Era', Tandazani Dhlakama. The discussion will focus on women from Africa and the African Diaspora in the arts. The discussion will highlight 'Something we Africans got' Issue #7 and some of the artists featured in the 'Five Bhobh: Painting at the End of an Era' exhibition. 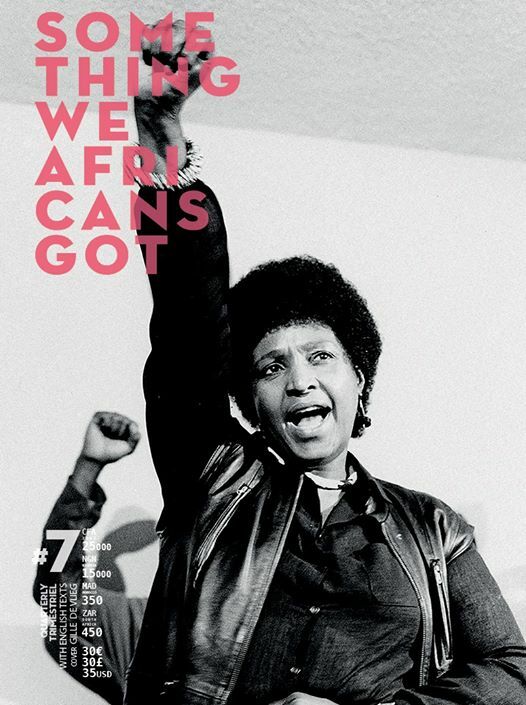 'Something we Africans got' is a journal that celebrates the works of artists from Africa and its diaspora, as well as others whose work is related to the continent. The journal focuses on currents of thought, photography, cinema, contemporary art, fashion, literature amongst other forms of art. Each issue includes a focus on an African country, a special theme and a country outside of the continent which emphasis cultural bridges with Africa. Anna-Alix Koffi was born in Abidjan and was raised in Paris. As creative director and photo editor, she founded and self-published the journal, 'OFF the wall cultures photo' in 2013, a collection of 10 book-magazines 10 about photography. Since 2016, Koffi created and produced magazines for fairs and festivals (Arles, Visa, Paris Photo, Fiac!, 1/54) as well as commissioned projects. Since then, Koffi has been involved with multiplied projects related to photography between France and Africa. She is now working on 'Something we Africans got', her new journal about arts and critical thinking from Africa. 'Five Bhobh: Painting at the End of an Era' is a painting exhibition featuring 29 artists from Zimbabwe. The exhibition is currently on view until 31 March 2019.